In a press statement made available to journalists, the Command has decided to move large number of its personnel to Asabanka Shooting Range in Akpabuyo LGA. 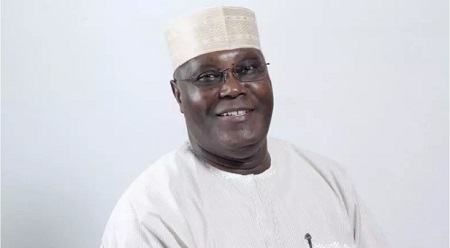 There are concerns about the security of the People’s Democratic Party (PDP) Presidential Candidate, Atiku Abubakar, party members and supporters in the party’s Cross River State rally scheduled to hold on Friday (Today) as the Police Command in the state has fixed shooting range at Akpabuyo Local Government Area for the same day. DAILY POST gathered that the arrangement about the visit in the state had been on top gear but the provision of security at the venue, airport and other areas to be visited by PDP presidential candidate was not adequate. The State Government in her efforts to provide conducive environment, has ordered the closure of all schools (Primary and Secondary) as well as declared public holiday for government workers in the state. Sadly, the State Police command in a press statement made available to journalists in the state said the Command has decided to move large number of its personnel to Asabanka Shooting Range in Akpabuyo LGA on Friday, February 8th 2019. The statement signed by the Police Public Relations Officer, Ms Irene Ugbo stated, “The Cross River State Police Command wishes to inform the general public that, officers and men of the Cross River State Police Command, Calabar will embark on shooting practice at Asabanka shooting range in Akpabuyo Local Government Area.